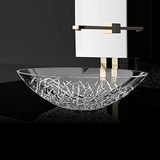 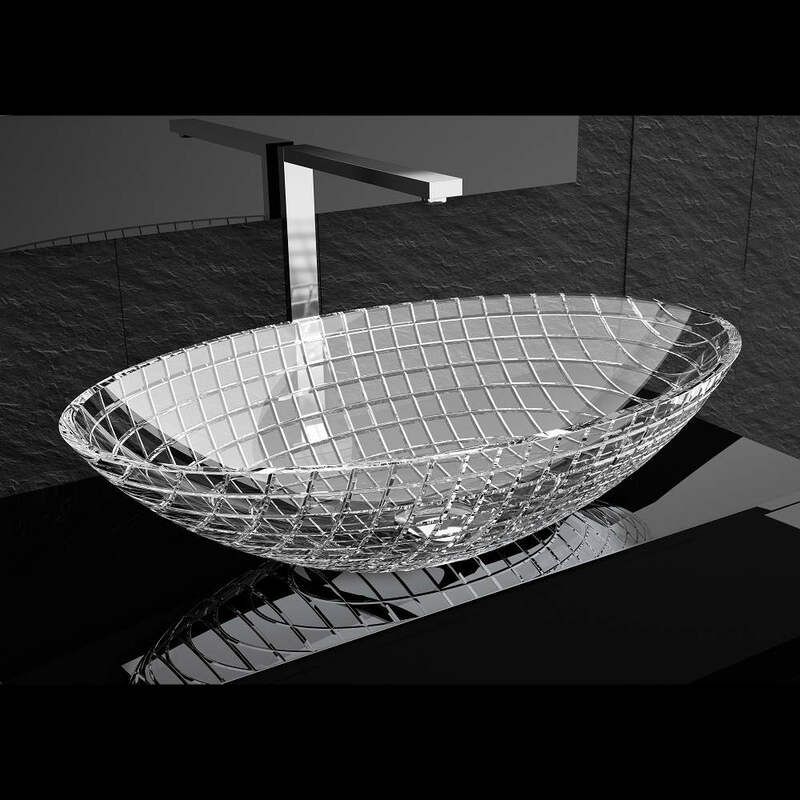 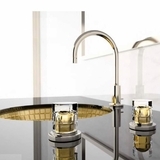 Luxury and beauty formed by pure crystal with 24% lead content; Luxor is blown by mouth and beveled in by our master artists into the shape of a circular or oval bowl. 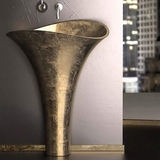 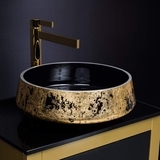 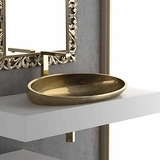 No machine or modern technology has been used in the creation of this exquisite wash basin. 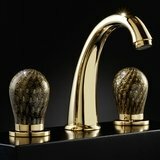 Luxor is the product of the collective knowledge of crystal making acquired through years of ancient and noble glass arts. 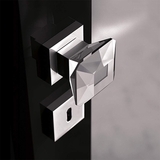 The cut glass creates a rectangular grid pattern on the outside and it is polished by hand on the inside for a smooth and hygienic surface.